My BTLR is the right tool for the job. We know that as a busy professional contractor, you are always on the go. Starting early and coming home late leaves little time to handle administrative tasks to run your business. Regardless of your industry, we can support your back office function with wide variety of tasks. We're experienced in helping contractors of all types. Let us support your back office. While you're running the business, we can handle the rest. What else? We can do lots more. How many service calls do you schedule a week? We know it is a lot to keep track of. We can handle the schedule for you and ensure you always run on time. Hundreds of emails can be daunting. And, delayed responses can be the difference in winning bids or not. Let us work behind the scenes to ensure this part of your communication platform runs efficiently. Using a CRM to track leads and customers? We can manage the product of your choice and ensure actions are taken. These solutions are best when integrated with social media and marketing and advertising campaigns – and we can make this happen too. Timely client follow-up is critical, but you are on the road. Wouldn't it be great to know that someone was following up on your behalf and ensuring action is being taken? Preparing estimates and quotes, contracts, service agreements ... there is a lot to do. We can securely complete these for you and manage the documents on the back-end in a secured cloud solution. 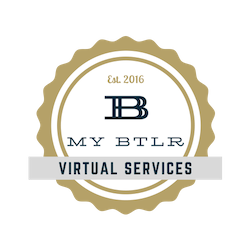 Electronic signatures from clients and easy access to retrieve your information is seamless when your virtual assistant is behind you. Whether you are on the road, or in the office, we've got you covered. Using Angie's List, Craigslist, Facebook, etc. platforms for advertising? Let us create custom templates for you and post ads on your behalf. There is a lot of paperwork running a business. Let your virtual assistant manage this for you and keep everything stored electronically in the cloud. You'll have access to anything you need whether you're in the office or on the road. From customer files to your business license, never misplace important paperwork again. Don't let your business, trade or other licenses expire. Let us maintain this for you so you are always in compliance. Can't remember if you are current on your CEUs? We can track that too. We can manage your website and keep it up-to-date with the most relevant information. This goes beyond just basic information. We can also integrate your website with your social media platform to ensure you are active and engaging.